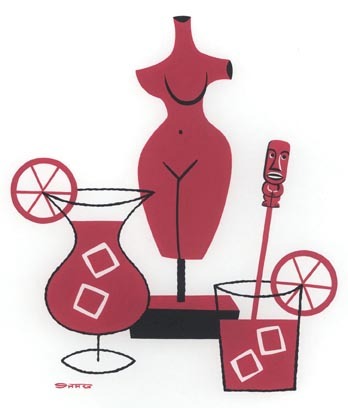 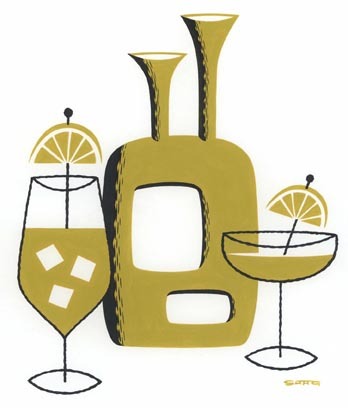 In 2011, M Modern Gallery in Palm Springs held the exhibition Still Life (with Cocktails). 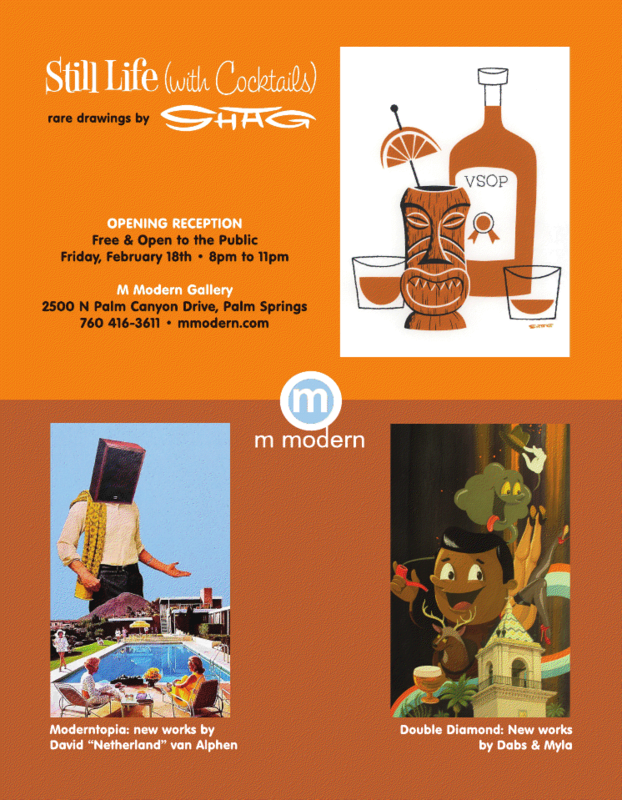 The show ran during the Palm Springs Modernism Week from February 18th to February 27th. 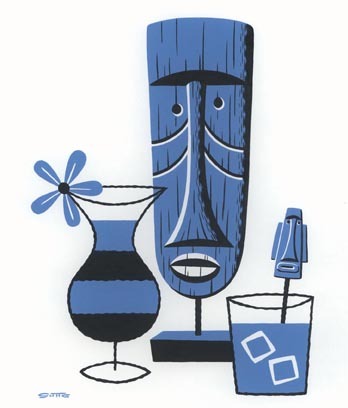 The exhibition included twenty original paintings in addition to many previously released prints, including from Disneyland’s 50th Anniversary and Autumns Come Undone. 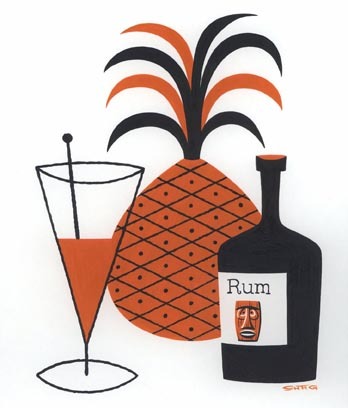 There were twenty original paintings in the Still Life (with Cocktails) exhibition. 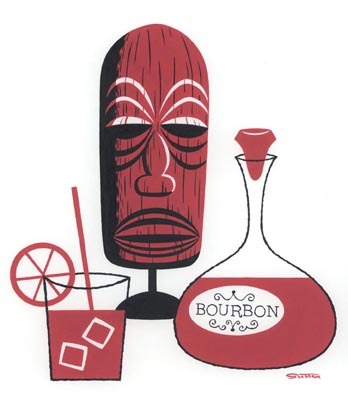 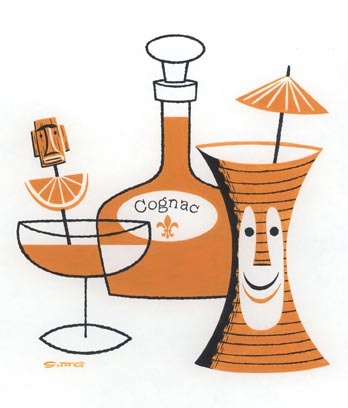 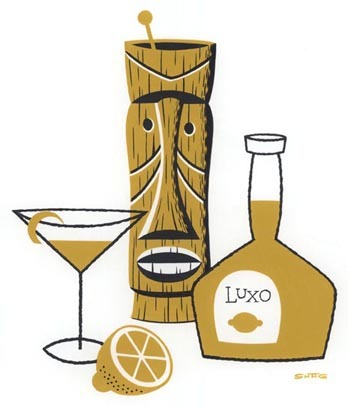 The paintings are all still life images of cocktails alongside mid-modern and tiki-themed objects, such as decanters, skulls, pineapples, and sculptures. 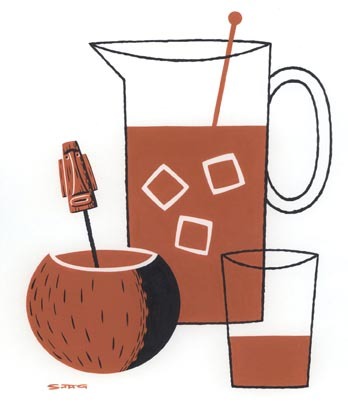 Each 10” by 13” picture is created by laying down a single color layer of acrylic paint on archival watercolor paper and outlining with a single color of India ink. 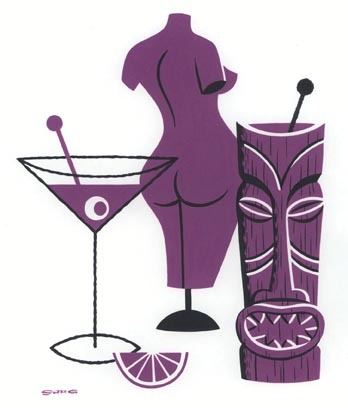 These two-color paintings intelligently use white space to create clean and sharp images in Shag’s distinctive style. 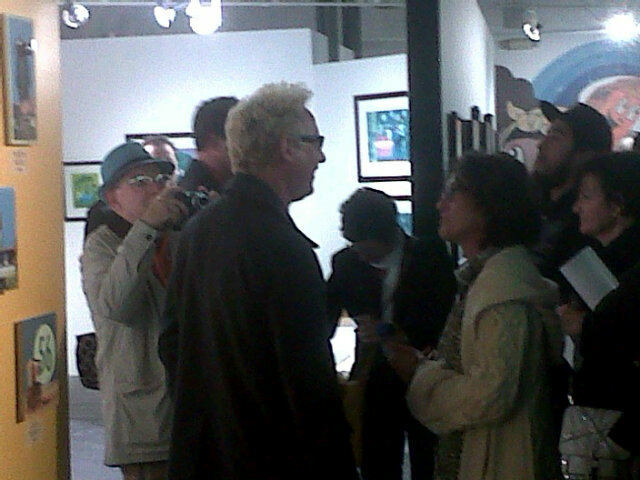 The exhibition opening took place on February 18th, 2011 as can be seen in the photographs below. 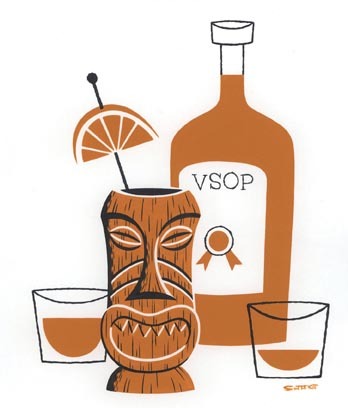 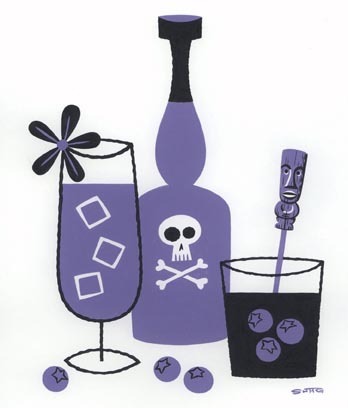 In 2013 Shag took twelve of the images from the Still Life (with Cocktails) exhibition and made them into two-color serigraph prints. 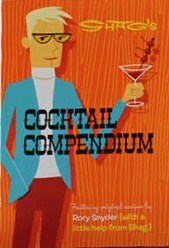 A Cocktail Collection boxed set was created by pairing the dozen prints with a thirty-six-page Cocktail Compendium recipe booklet. 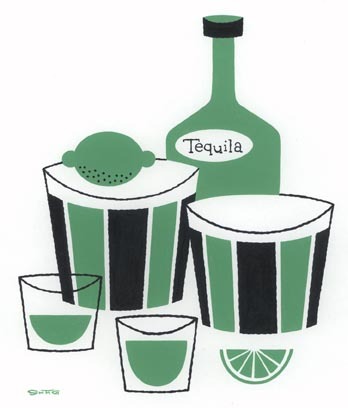 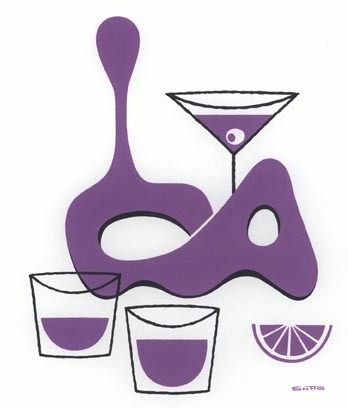 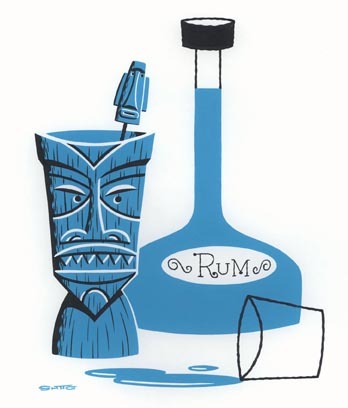 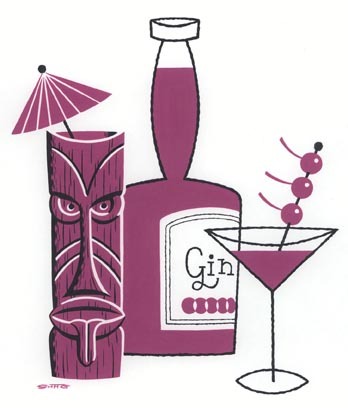 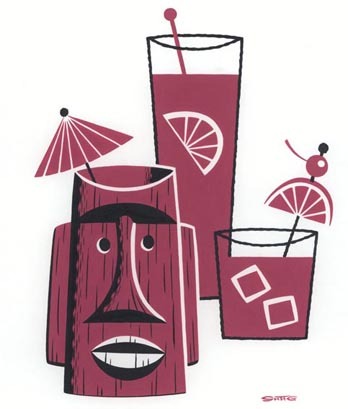 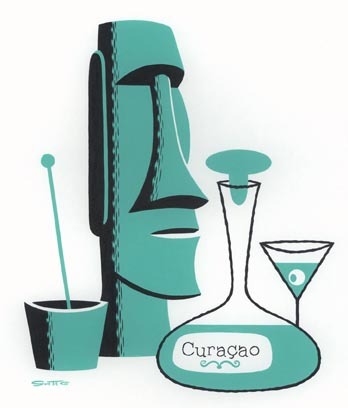 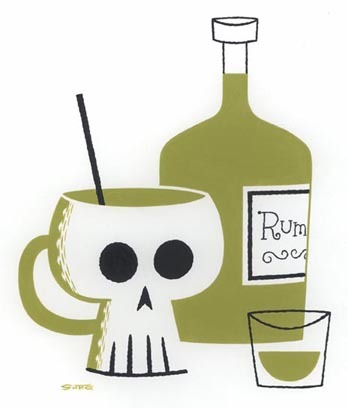 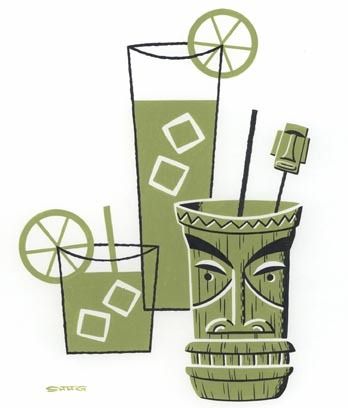 The recipes in the Cocktail Compendium booklet were created by Rory Snyder and the artwork was supplied by Shag. 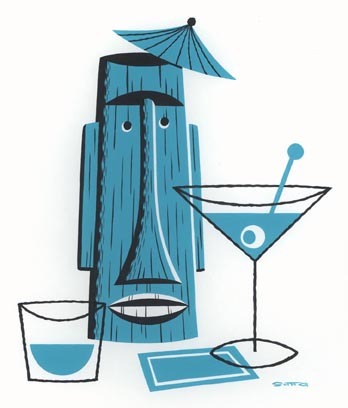 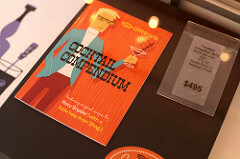 The Cocktail Collection portfolio originally cost $495 USD and was limited to 200 copies (plus 30 artist proofs and 3 printer proofs).